To eat a different cuisine, and that, to a heartful doesn’t happen very often. It happened at Guppy by Ai. 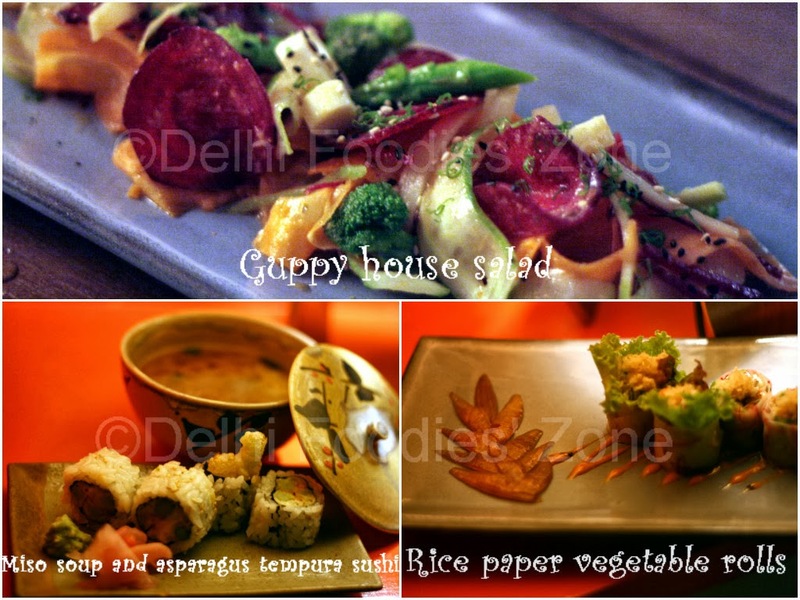 Chef Vaibhav Bhargava and manager Gulzar, our hosts for the evening explained that at Guppy by Ai they serve their take on traditional and contemporary Japanese cuisine with slight modifications to suit the Indian palate. The new menu, he goes on to explain, was a result of old favourites from Ai and the innumerable food tastings that happened at the restaurant before they opened doors to public. No wonder their menu is full of wonderful gastronomical surprises for the vegetarian taste buds. Skeeter for sure will be seen eating there more often. Chef Vikram Khatri who heads the kitchen was unfortunately not present on the night Skeeter visited. Guppy is already the talk of the town as Skeeter spotted the who’s who of town on the night of her visit. 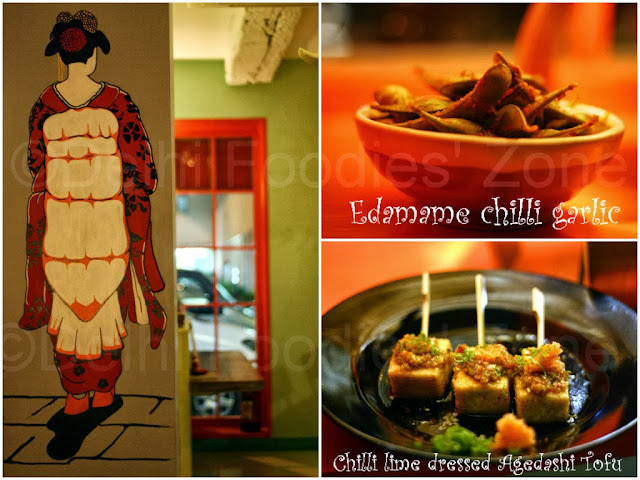 Chilli garlic flavoured edamame kicked off our evening. The edamame bean pods are usually boiled and salted but the Chilli garlic rendition of Guppy by Ai lent it a different note altogether. A must try. Next, came, a very fresh Guppy house salad with Zucchini ribbons, carrot ribbons, thin slivers of beet, bamboo shoot, bits of broccoli and palm heart tossed in karashi mustard, finished with a sprinkle a roast sesame seeds. Rice paper vegetable rolls which had shredded vegetables and lettuce, wrapped in rice paper followed with yuzu kosho sesame sauce. The presentation was what fascinated Skeeter. Caramalised onion slivers plated in a way that they looked like a leaf! Ask for the Rice paper vegetable rolls and the house salad if you are particularly watching your weight. Anyone who indulges in the Sushi is not vegetarian debate, MUST try the tempura Sushi here and decide for themselves. There is a Sushi counter in the dining area where you can watch all the action live. Chilli lime dressed Agedashi Tofu was the next to have Skeeter floored. Agedashi Tofu is traditionally served after it is cut into cubes, dusted with cornstarch and deep fried. It is then served placed on hot broth. This one had a tangy chilli lime dressing and a little salsa on the top and was served aka oroshi (a Japanese radish condiment) and dashi sauce. I’ve had better versions of the Miso soup elsewhere about but the Crisp vegetable Harumaki was a relevation: Baked filo pastry with a stuffing of shredded vegetables. Crisp on the outside with tender, flavourful vegetables inside; this top notch dish was presented strewn with pearl-like corn. It can be served fried also, if one requests (but I wonder who’d do that and why?). 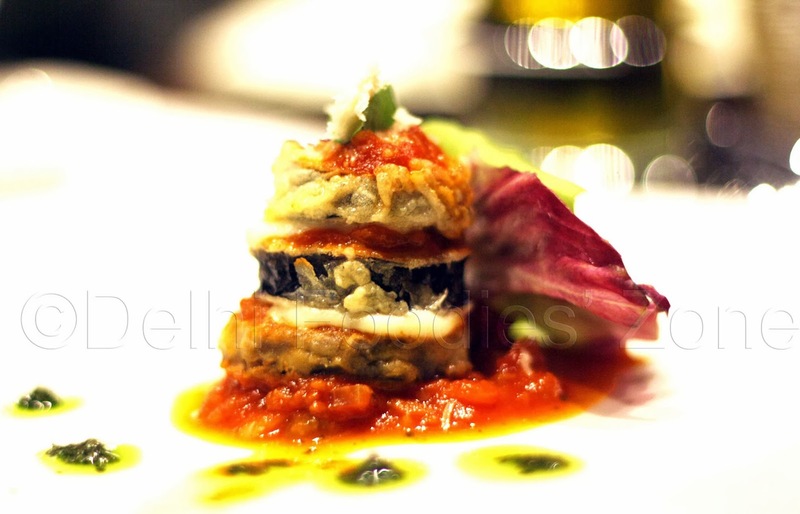 Impeccable plating clubbed with outstanding flavours. A winner, this. The presentation of all the food we had matched the equally delightful decor. Origami paper used as lampshades, metal lion fish lights, Japanese dolls and other Japanese artefacts placed all over the restaurant showcase the effort put in for doing up the place. The rock corn tempura stole Skeeter’s heart. It was served with a Sriracha spiced mayo that teased the tongue gently. The Teriyaki glazed artichoke and Tofu set made a good pair with the garlic fried rice which Skeety really enjoyed. End your meal with a Yuzu lemon cheese cake which has a splendid Kaffir lime glaze on top of it, or opt for a warm carrot cake with a cream cheese drizzle. The warm carrot cake was ethereal. Served at an excellent temperature, this sublime cake was spiced with cinnamon and was a great finish to a phenomenal meal. I’ve also had people sing praises about Guppy by Ai’s gorgeous Black Cod plated on a hot stone, the Ramen that is served in a broth that take 72 hours to prepare and excellent Pork Belly. But more about that later. ….revelations are certainly made of these. It has been a couple of days since Skeety last went there. Gives her a high of sorts, and rejuvenates her. She is talking yet again about her beloved OLD area of Delhi. Bazaar Sitaram. Kuch Pati Ram. The name spells nostalgia and the place casts magic. Perfect ambience to get lost, to let the thoughts flow uninterruptedly, and if an experience can balsam Skeety then the visit here would be it. 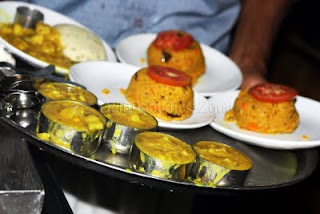 Skeety takes you down the lane of her favourite Kulfiwala. LOW key because not everyone goes there. HIGH notes because the taste is as exotic as it could get. MYSTICAL charm arises when the ambience soaks you in (or vice versa) and transfers you to another era. Skeety is talking about Kuremal Mohanlal Kulfiwale. Skeety goes beyond Gelato only to demolish Kulfis at Kuremal. They come in traditional cone-shaped moulds (steel or plastic these days) and have flavours to die for. 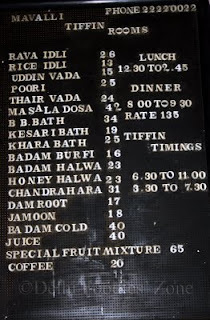 Kuremal’s have an endless list of flavours like aam, panna, faalsa, fruit cream, cream, rabdi, anaar, strawberry, litchi, gulukand, kesar, et al. Creamy, frozen, flavourful delights these. Slurrrp…I recommend, aam, fruit cream and panna kulfis. Each very strongly. 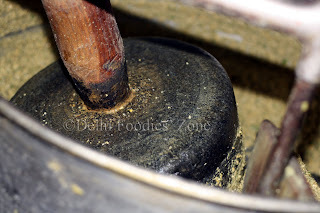 Dhuli Chand’s (another kulfiwala in Bazaar Sitaraam) is the mail competitor of Kuremal. Dhuli Chand’s, it seems, serves better aam kulfis. But overall Kuremal’s is terrific. They serve sugar-free kulfis as well. Dig in! Directions: Get down at Chawri Bazaar Metro Station and ask anyone there to guide you. They’d happily do it. TRUST ME! Yes, that was what triggered this Childhood flashback: Mulberries. For, I had them after long the other day. The sweet, tangy, juicy fruit of the red Mulberry dissolves itself at the touch of the tongue, and unleashes a flavour that has a charm not worthy of words. It can only be tasted. It is known to the Hindi, Arabic speaking population as Shahtoot (Shah=King, Toot=Mulberry) or King’s Mulberry and is available in Delhi in two varieties, namely White Mulberry and Red Mulberry. The Red one is deep red and has a tinge of purple. However, I fail to understand why the White Mulberry is called so, as it starts from being pale yellow in colour and ripens to acquire a soothing green coloured skin. Red, is my favourite as it has a naughty tangy flavour. And it leaves red stains, if you drop it somwhere. The green one (or white or whatever you may call it) oozes sweetness and is a pleasure for those with a sweet tooth. So much for Greek Pizzas. Skeets now hops forward to her bewitching new find: It’s Greek to me. Here is how it happened: A asked Skeets if she could have some wine. Skeety’s non-muggle instincts told her that this place MUST have wine. So, there they were headed. 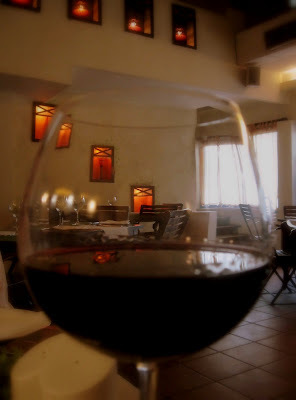 Minutes later, they entered a cosy little restaurant which was dressed (read decorated) in such a manner that it could easily pass as some tavern besides a farm at some highway in Greece. Comes next what? The living end of CONFUSION. The ‘placing of the order’ time. Skeets is known for her habit of reading the menu only for such a little while that the person accompanying her (if any) may be provoked enough to stab her with the butter knife kept in front of them. Gee. Dodging the knife, Skeets ordered the Mezze Platter to be shared with A and a glass each of red wine. 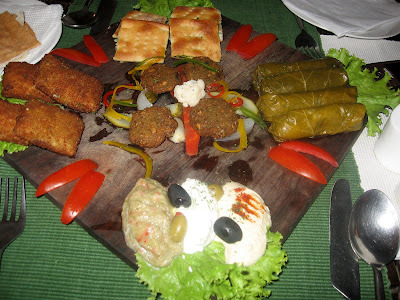 The Mezze Platter tasted as promising as it looked. It bore: Tirokafteri fritters (a stuff of feta and spinach mix), Spanokopita (pita bread with some dressing), Falafel (fritters made of fava beans/chickpeas), Dolmathes (sort of steamed dumplings made of rice and pine nut filling, wrapped with grape leaves). These were accompanied with small helpings of Tratziki, Hummus, Eggplant dips and a few breads. The Dolmathes did not go well with Skeety or A’s tastebuds. Rest, all were classics. Then came, the most intriguing bit. The Plate Smashing. It is a Greek tradition to smash the plates after meals. They smash plates at taverns where the females perform Hassapiko (Greek dance form) and the likes. So, Skeets asked at the restaurant if she will be given a plate to smash. They said YES. And so, Skeets unleashed her wikkid side and smashed the plate in the Smashing corner and walked away to glory after having had a smashing time. Another visit is pending. SOON. So what was served to Skeets was more of a namesake of Greek food. 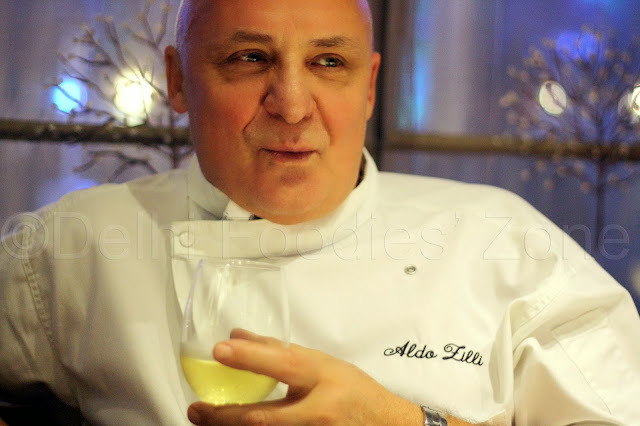 Another blogger Hellenic says: The plates are not smashed after a meal. Usually the plate smashing (and it’s a tradition on it’s way out in most of Greece), takes place during a solo dance performance when plates are smashed in joy at the performance. Also, plates are not smashed in the restaurants in Greece. It is no more permitted and it takes place in Bouzoukia (night clubs). Today in Greece, people enjoy the same, but only throw Flowers. P.S. 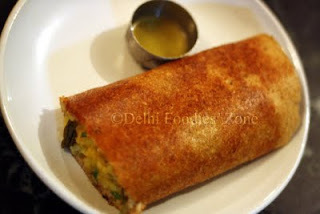 : Deepak (Bigger, better Delhi Foodie) swears by their breads and I stand by him and NOD in acceptance. A late morning cuppa, a quick brunch, a quiet evening. In introspection. In jubilance. In gloom. Whenever Skeety does not want to tax her brain about the place she should be headed to, the brain, on its own, pops out the answer: MARKER CAFE. 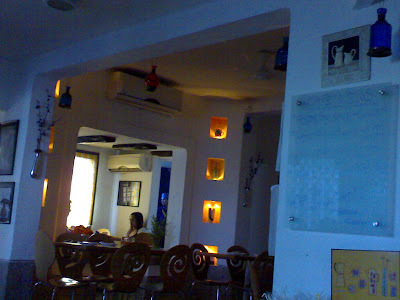 Pleasant blue walls, good service, decent food, serene ambience – I show you, today, My Beloved Pleasure Cavern. In one of the backlanes of Khan Market, I climb up a dozen broad stairs to reach this place. This winter, I was there to sample their Fondue. 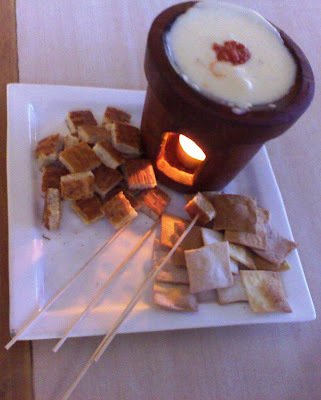 The Fondue is tastefully served in an earthern pot (with a tealight flickering beaneath to keep the cheese bubbling) with squared pieces of bread and crackers. People at Market Cafe happily admit that they don’t do an authentic Fondue, but what is their own variant of the original recipe. And Skeety says it tastes oh-so-lovely, though she is YET to taste the real thing. 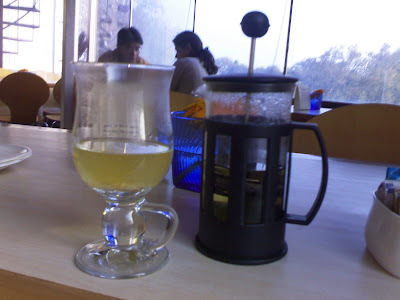 The Kahwa was not as good as it ought to be. But then, they claim to have learnt it from a Kashmiri guy whose preparation is much appreciated in the Delhi party circuit. The Hot Chocolate Mud Pie is their clame to fame and I absolutely love the Goat’s cheese on baked Walnut bread with Za’tar that they do. Coming back to the Fondue (which is the swiss national dish), there are interesting legends which do rounds as the printed word spreads across the globe through some of those wonderfully bound books on food (not recipes books, mind you). One goes that during the harsh winters, the shepherds of the Alps, having little or no vegetation around, combined cheese, wine and milk to make the cheese sauce, and ate it with the thick bread. 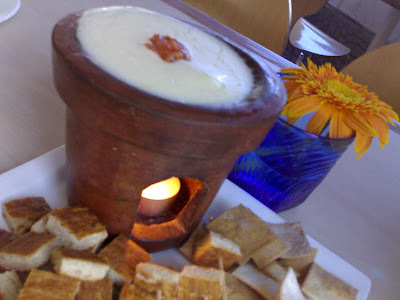 Another interesting version is that during the Swiss Reformation, when food supplies fell alarmingly short in Zurich, the Catholics and the Protestants merged all cheese, wine and milk into a big pot and ate it by dunking pieces of bread into this pot of cheese sauce, and hence was born, the great FONDUE. Hot chocolate at Costa is NOT passé. 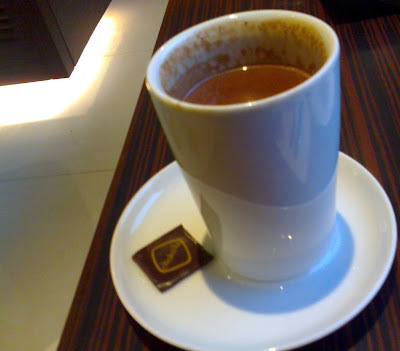 But, Skeeter has found a new flame, the Sao Tome Hot Chocolate at Choko la (Khan Market branch ONLY please). 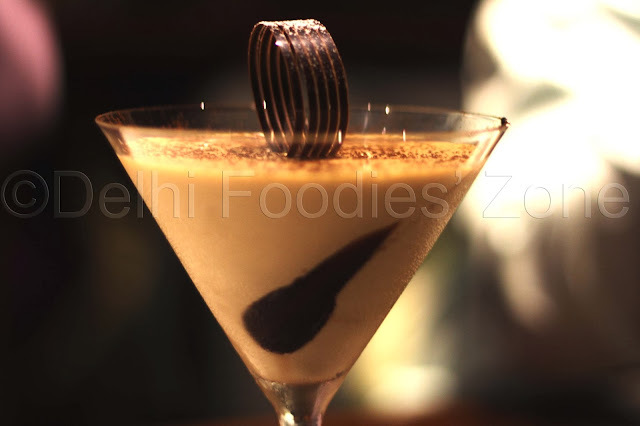 Choko la (meaning let’s drink chocolate together) is Delhi’s very own chocolate boutique at Khan Market. As she sits down one pleasant evening by the window seat, Skeety is attended by a lady with the most pleasant smile across her face. Skeety takes eons to decide on her food and drink (as always). The lady patiently keeps an eye on Skeety to see when she is ready to place the order. A while later, she gives up on Skeety, comes to her rescue, asks her preferences, and recommends a Sao Tome (single origin hot chocolate made from cocoa beans of that region). Skeety surrenders, and to accompany the drink, she orders a Chocolate Mousse. Eight minutes pass by. Enter, Sao Thome alongwith a piece of the chocolate in the unmolten state. Sao Tome is made with dark chocolate and contains 70 percent cocoa content. It is characterised by its firm body and distinct taste. Skeety enjoyed each sip so much, that she ended up eating her drink! Having finished the drink and the mousse, Skeety speaks to the Manager who believes in making customers relish the ‘real’ chocolates rather than the regular Cad bar or the Fererro Rocher for that matter. Thus, he encourages all to try their Liqueur Truffles and Tanzania hot chocolate (with 73 percent cocoa content). Skeety then moves on to meet the man behind the scenes, the chef Nikhil Baveja. After a small chat session, she asks him what would he call the specialty of the house. Ice-creams comes the reply. 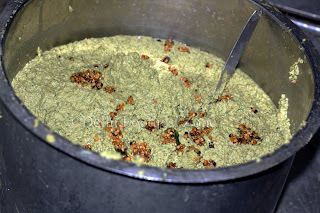 According to Nikhil, they are as good as home-made ones and are freshly churned. Skeety shall wait till summers to see (read taste) it for herself. Till then, let’s Choko la! P.S. 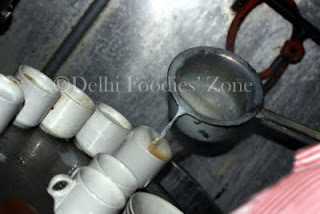 :The staff at the Khan Market branch do a better job than the ones at Basant Lok. The Basant Lok branch is their first one and is more sought after. Choko la at Khan Market is a new-kid-on-the-block and is doing quite well. Atleast for now. Update: Nikhil no longer works at Choko la. 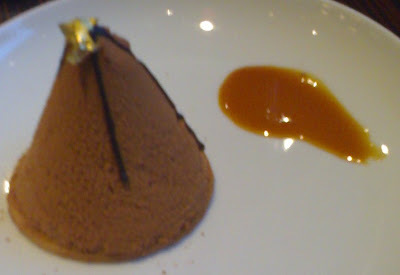 Posted on January 25, 2008 Author Reeta SkeeterCategories chocolate, chocolates, Choko la, Costa, Costa hot choc, Delhi, dilli, drink, FOOD, hot chocolate, khan marketLeave a comment on I ate my drink!!! 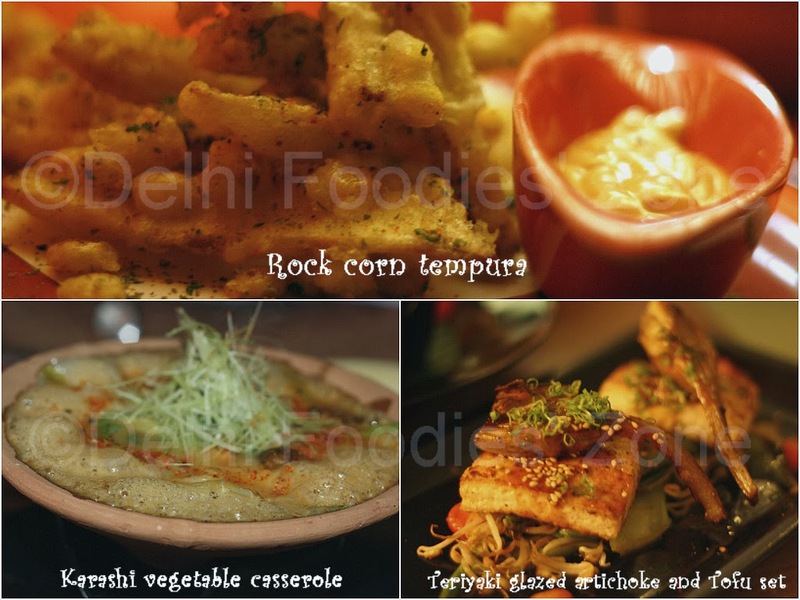 The humble potato is Delhi’s delight during the winter months. 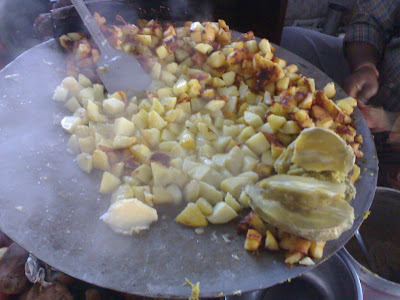 And aloo chaat, is the best form in which the potato can be consumed in this part of the world, at this time of the year. As the temperature drops to the season’s lowest, I sit down and close my eyes. 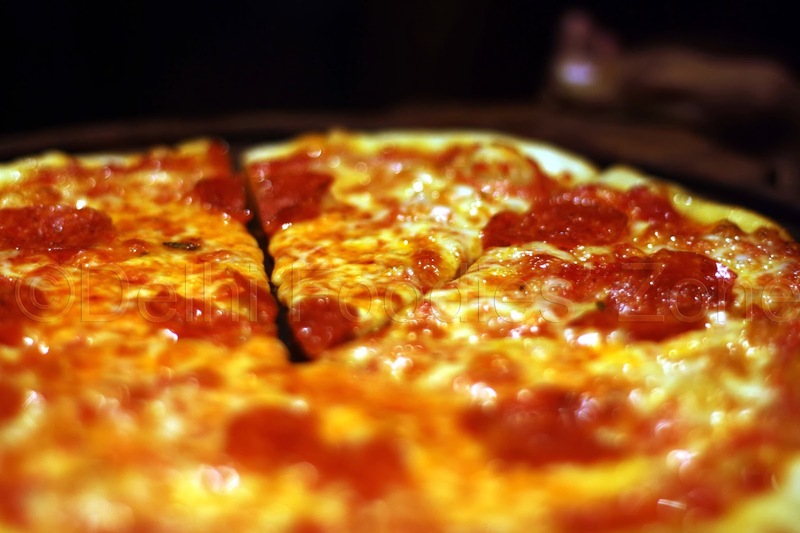 I see a photo slide of the various foods that I’d love to gorge on this winter (as any other). Aloo chaat, shakarkandi, jalebis from Chandni Chowk, mom-made halwa, kaanji (the blood red spicy drink made from bleeding carrots), and what not flash before my eyes. 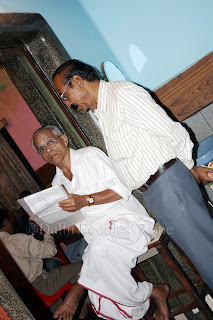 I happened to visit the Ham House (known to people as Hamilton House), aloo chaat wala twice in the past two weeks and thought of talking (read writing) about him here. As the name suggests, the chaat wala sits (in a corner) outside the Hamilton House, Inner Circle, Connaught Place. I’ve been having the alu chaat made by him ever since I’ve been visiting Connaught Place. A visit to Connaught Place is rather incomplete without a nibble at this spicy snack, priced slightly high at Rs.20 for a plate. 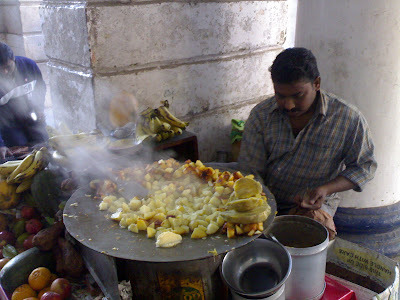 Vijay is the man who carries forward the legacy of his father and elder brother of selling the famed chaat. 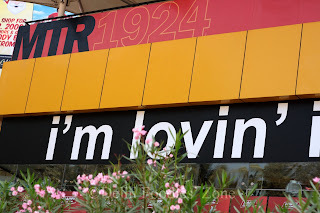 And it has been 35 years since Delhiites have had the pleasure of gorging on it. Vijay also does a fruit chaat for you, if you want. 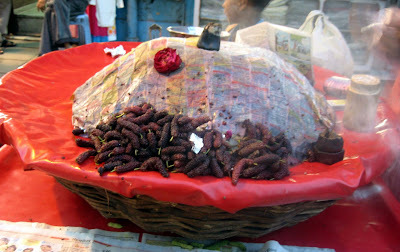 During winters he also does the sweet potato or shakarkandi to please your tatse buds. But nothing beats the humble potato: diced, fried, spiced up (mild spicy to fiery hot) and served hot. Ahaaa! Yummm! 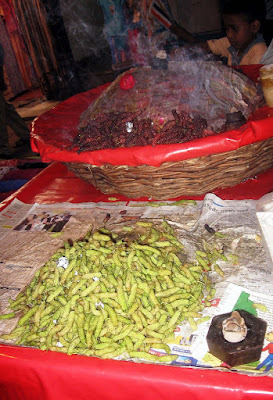 Posted on January 1, 2008 Author Reeta SkeeterCategories aloo, alu, alu chaat, C.CP, chaat, connaught, connaught place, CP, Delhi, dilliLeave a comment on Aloo Karare!